Ah yes, finally your dream pool is ready and waiting for you and your loved ones to create a lifetime of cherished memories. 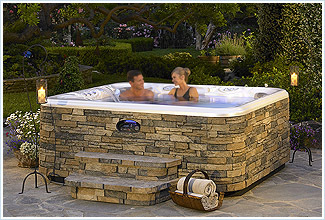 At Burnett Pools, our goal going forward is to keep you completely satisfied as a pool owner. This is where our team of experts steps in to create a partnership with you that will make your pool ownership simple and enjoyable for years to come. Upon completion of your dream pool, you and your sales associate will meet for a personal orientation in your own backyard and discuss how to care for your swimming pool. We understand that you may need to learn the basics—from cleaning your pool to caring for the water and equipment. We will walk you through all the necessary steps to ensure your total satisfaction in knowing how to properly care for your new asset. If you’d rather us take care of your total pool maintenance, we also offer a partial or complete service plan in which we do everything for you, or just specific tasks throughout the year. For example, if you prefer that we open and close your pool for the season, we’d be happy to. If you would like us to clean your pool and keep an eye on the water care, we can handle that, too. Burnett Pools is here to assist you along the way with whatever services you might need as the owner of a beautiful new dream pool.